Communications Systems, from Speaking Trumpets, Fire Horns, Fire Alarm Boxes & Bells to the Marin Emergency Radio System (MERA). Story coming. 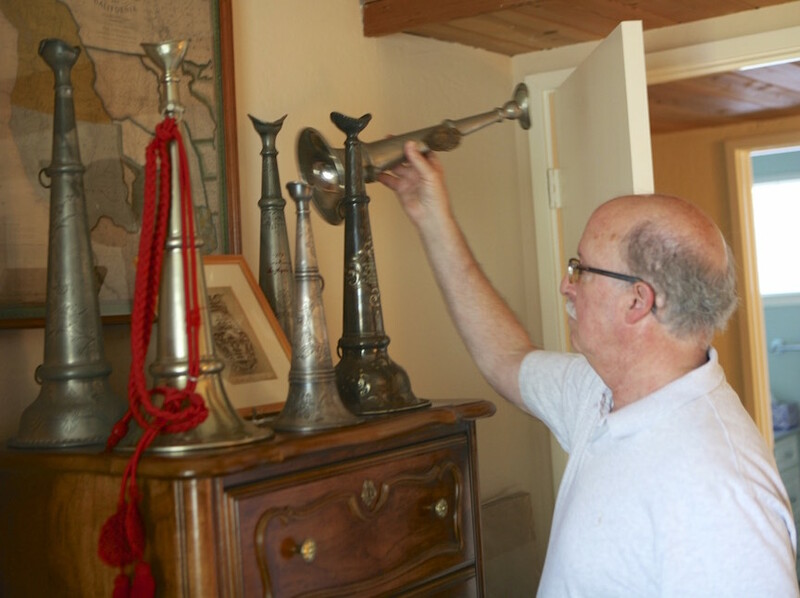 Dr. Stephen Mizroch of San Rafael and member of the Marin Fire History group, shown with his collection of fire chief speaking trumpets.